We want to be a company that contributes to the development of people, companies and institutions, in other words, the country and the world, acting as role models through well executed work; work performed with passion, empathy, commitment and transparency, always with the hope that our performance results in a gain and contribution for both parties. To be a transformative tool that creates value through the implementation of processes that help our clients define and communicate their values with efficiency, energy, innovation and passion for what we do, building long term bonds with our customers and collaborators. We love what we do and we love our work: it brings us pleasure and happiness. We get involved; we want to know every caveat of every project. We are driven, have a positive attitude and our passion for what we do rubs off on our partners and customers. Excellence is our foundation. Efficiency and the capacity to react are our seal. We are innovative, restless and always aware of trends. We have big ideas and the skills needed to make sure every requirement is delivered thoroughly and with added value. We go above and beyond, motivating change and transforming organizations. We design solutions. We understand our role as a contribution to society. For this very reason, we take care of our people. 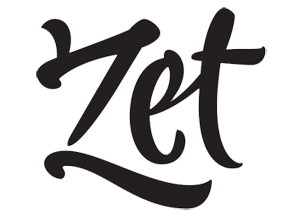 We want to grow together and make sure that working at Zet is a chance for personal and professional growth. We take care of our environment. We decided to measure our carbon footprint to be the first carbon-neutral identity, technology and communications consulting agency in Chile. We following recycling practices within ZET, we ride bikes, and, we are finding the way to become certified as a B company before 2020. We listen to our clients using all of our senses. We are always alert to detect new requirements and come up with precise, coherent answers. We interact with empathy, honesty and creativity, resulting in bonds that stand the test of time. We are the best interpreter of what you need. We are experts at what we do. Because we look to create value in every project, we take each one of them as a new challenge. We design smart, tailor-made solutions focused on solving problems and providing multiple outlooks to create projects with a global, sustainable vision. We do not settle for anything but excellence. When applied to every project, our powers turn any job into a work of excellence, which is as important to us as it is to our clients.